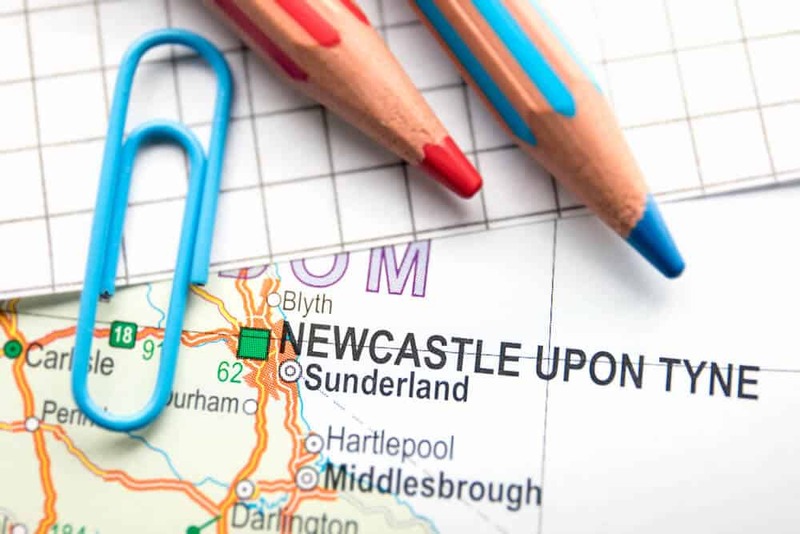 What’s on in Newcastle April May June: Newcastle – Gateshead is brimming full of amazing events including theatre, music, comedy, exhibitions, festivals and sporting events and we have named but a few. Newcastle Gateshead hosts all sorts of exciting events throughout the year. EAT! NewcastleGateshead is a food festival with a difference. Quirky, imaginative and of course delicious, EAT! proves that food festivals aren’t exclusively for connoisseurs. Sunderland Airshow, the biggest free event of its kind in Europe, never fails to amaze kids and grown-ups alike with jaw-dropping flying displays from the Red Arrows, and the Mouth of the Tyne Festival appeals to sun-worshippers and music-lovers alike, as internationally acclaimed acts perform in the open sea air. Enchanted Parks sees Gateshead’s beautiful Saltwell Park transformed into an intriguing winter wonderland whilst Juice, NewcastleGateshead’s award-winning festival for children and young people, hosts all sorts of wild and wonderful events for babies, children and teenagers… and it keeps the parents entertained too! NewcastleGateshead offers visitors and locals an excellent variety of world-class cultural venues that hold exhibitions of all sizes. From leading artists like Yoko Ono to smaller North East artists – art galleries in Newcastle and Gateshead cater for every art enthusiast. Gateshead’s BALTIC Centre for Contemporary Art is the only non-TATE venue outside of London to host the coveted Turner Prize and is recognised by many as one of the country’s best examples of a modern art venue. As well as housing some of the best local exhibitions it provides an ever-changing calendar from critically-acclaimed artists from around the globe. The Laing Art Gallery Newcastle has an impressive collection of art and sculpture with its Newcastle exhibition programme renowned for bringing the biggest names in historic, modern and contemporary art to the North East. There permanent displays of John Martin’s breathtaking The Destruction of Sodom and Gomorrah and William Holman Hunt’s poignant painting of Isabella and the Pot of Basil are always worth a visit. Northern Gallery for Contemporary Art in Sunderland brings new exhibitions from emerging artists in the region and should be an essential stop for any art lover’s itinerary. The Biscuit Factory, the UK’s biggest commercial gallery, is the perfect place to start or expand your personal collection. Formerly a Victorian warehouse, the beautiful and dynamic gallery space is set over two floors and displays a range of fine art, sculpture, prints and crafts. The North East is a thriving cultural region with an abundance of amazing cinemas and theatres in Newcastle and Gateshead. Tyneside Cinema, Newcastle’s oldest and most-loved independent cinema, offers film fanatics a huge choice of new releases and classic movies. Housed in a beautiful art deco building on Pilgrim Street, the recently renovated property also includes a stylish bar cafe. For those who want something a little more mainstream, head to The Gate Cinema Newcastle or The Odeon, Gateshead at intu Metrocentre, where you can enjoy films in stunning 3D IMAX. And if you’re looking for smaller and more quirkier shows, try the Side Cinema or the Star and Shadow Cinema – two independent venues ran by city volunteers who love Newcastle cinema. The Theatre Royal Newcastle, regional home to the Royal Shakespeare Company, and the Sunderland Empire, often referred to as the West End of the North, provide the region with world-renowned shows and performances such as The Lion King, Wicked and Top Hat. For something a little different in the heart of the city visit Northern Stage, where fresh and relevant productions of modern classics have helped build a strong national reputation. Or perhaps take a trip to the Live Theatre on Newcastle Quayside, where their strong regional identity is represented on the stage. In the neighbouring towns, you’ll also find smaller venues such as South Shield’s Custom House, which also has a cinema and gallery, and the hi-tech Whitley Bay Playhouse, where developing regional talent provides truly intimate and original performances. Meet and finish is at South Shields Metro Station (King Street entrance). Join our walk around the centre of South Shields and the riverside. Sitting at the mouth of the Tyne, South Shields has a long history from Roman times to the modern day. Strong links to seafaring and industry have seen the town boom, decline and grow again. From:6 Oct 2019 to 6 Oct 2019 Sundays 14.30. Roll up for the greatest family party in town, with games for all the family, entertainment and food stalls to cater for you all at Crowne Plaza. 1pm – 4pm (13 Apr 2019). From the highland clearances to the oil boom, this is the universal tale of how the greed of a few blights the lives of the many. Add a generous dose of Scottish rebellion and irreverence. Throw in some live music and a riotous ceilidh – you’ve got yourself a rollicking great night out. 1973 was a big year for radical, working-class theatre. Whilst Live Theatre began touring into social clubs around Newcastle, 7:84 Theatre Company were doing the same with The Cheviot… across Scotland. The two companies were part of the same struggle. 45 years on, this new production of The Cheviot… takes the story back to its roots by visiting village halls in the Highlands and Islands, echoing the play’s original 1970s tour. The play was a phenomenal success for Joe Douglas in 2015 before he became Live Theatre’s Artistic Director. He returns to direct, bringing it to Live Theatre, the only English venue on the tour. Have you ever sat on the top deck of a bus and wondered who the carved heads staring back at you are? There are many faces depicted on buildings in Newcastle and this walk takes us around town to find these heads and discover some of the tales behind them. From 4 Sept 2019to4 Sept 2019 Wednesdays 14.30. The walk includes steep steps to descend but an alternative is available. From 2 June 2019 to 2 June 2019 Sundays 14.30. Meet at Gateshead Old Town Hall, West Street. Finish at Trinity Square. In this circular walk, we look at the town centre old and new. Gateshead was a Victorian boom town and, by the time the town hall was built, had become a town of great contrasts, where civic pride vied with slum dwellings. If you lived in central Gateshead, no matter how fine a house, slums were less than half a mile away. From 19 May 2019 to 19 May 2019. Sundays 14.30. Seven Stories, The National Centre for Children’s Books launch a brand new exhibition – ELMER and Friends: The Colourful World of David McKee to celebrate 30 years of Elmer the Patchwork Elephant. This is the first major retrospective of David McKee’s striking artwork. Elmer remains one of the most widely read children’s book series of all time, selling over eight million copies worldwide since it was first published by Andersen Press in 1989. Written and illustrated by celebrated children’s author and artist David McKee, the Elmer books have been translated into more than 50 languages and now new books, toys and clothing add to the world of Elmer the Patchwork Elephant. From 8 Feb 2019 to 7 Feb 2020. Seven Stories is opened Monday – Sunday and closed on Mondays during term time. London-based three-piece The Comet is Coming, featuring Sons of Kemet’s Shabaka Hutchings, debut music from their forthcoming release Trust In The Lifeforce Of The Deep Mystery. The Mercury Music Prize nominated band to create the soundtrack to an imagined apocalypse. It is after the end of the world, the stage is a spacecraft, the mic is an accelerator, brace yourself for The Comet is Coming. From 1 Apr 2019 to 1 Apr 2019 Mondays 20.00. Walk Right Back: The Everly Brothers Story Returns! Featuring hits such as Bye Bye Love, All I Have To Do Is Dream and Cathy’s Clown, this unique concert-based musical entwines the wonderful, sad yet glorious story of The Everly Brothers around those trademark “harmonies from heaven”. Follow the brothers rise to fame, through their decade-long feud to the glorious reunion that gave them back to the world, and back to each other. From 29 May 2019 to 29 May. Wednesdays 19.30. If you are visiting Newcastle for the first time or are a regular then there is always plenty to do and sights to see, plan your visit and you’re guaranteed an amazing time. We hope you have enjoyed our What’s on in Newcastle April May June 2019.